Cleanse your body of pathogens, toxins and free radicals and feel renewed! ACG Glutathione® Extra Strength: Glutathione is the most important intracellular antioxidant of the entire body, protecting, healing and rejuvenating. Glutathione (GSH) is one of the most critical molecules of the entire body. As the most important intracellular antioxidant, GSH regulates all other antioxidants while preventing damage to important cellular components caused by reactive oxygen species, such as free radicals and peroxides. A major advancement in Glutathione supplementation, Results RNA® has developed Advanced Cellular Glutathione (ACG). 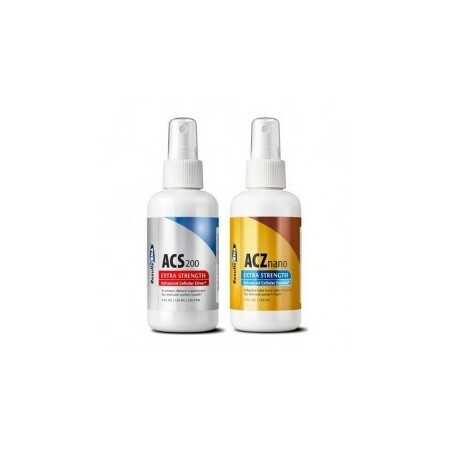 ACG Glutathione® Extra Strength is an intra-oral spray GSH that tastes great and has been proven by an independent clinical research firm to effectively increase intracellular levels of GSH by over 10% in only 7 hours. The leading silver-based supplement in multiple independent studies, ACS 200® Extra Strength rapidly kills an extensive array of pathogenic microorganisms oxidizing the cell wall of Gram-positive and Gram-negative bacteria, fungi, as well as killing naked viruses, all without damaging human tissue. Advanced Cellular Zeolite (ACZ) nano® Extra Strength: Binds and Expels Toxic Heavy Metals, VOC’s, Radioactive Toxins, Free Radicals and More. 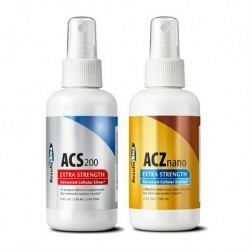 ACZ nano® Extra Strength selectively and irreversibly binds and removes toxic heavy metals, such as Mercury and Lead, chemical toxins, VOC’s, radioactive toxins and free radicals of all types through the urinary tract, without removing vital nutrients. These results have been verified in multiple, independent urine challenge studies. ACN neuro delivers the power of each ingredient in the most effective manner possible; achieving maximum results without stomach discomfort or side effects. With Advanced Cellular Technology, ACN neuro Extra Strength Intra-oral spray is immediately absorbed, simple to take, and has a pleasant taste with a hint of natural mint. Just spray, swish, and swallow.